OLYMPIA – People in Washington could soon have the option of becoming “human compost” after they die, under a bill intended to provide cheaper and more environmentally friendly alternatives to traditional burial practices. 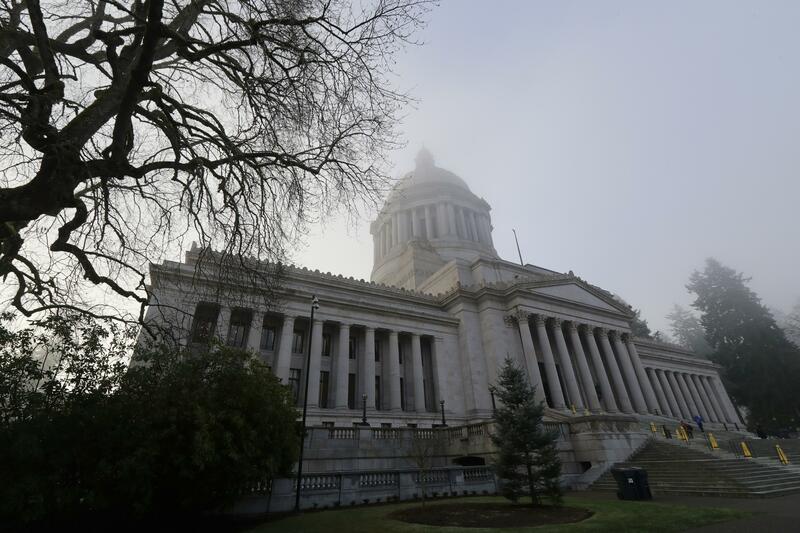 A new Senate bill would make Washington the first state in the country to allow the practice, also known as recomposition. A new business, Recompose, plans to offer the service in Seattle at the site of its flagship facility. “It is an understandable tendency that we have to limit the amount of time we think about death care, but environmental realities are pressing us to develop alternatives to both cremation and burial,” said Recompose founder and CEO Katrina Spade. Spade and others at a hearing of the Senate Labor and Commerce Committee said it and another process, alkaline hydrolysis, use significantly less energy and put out less carbon dioxide than traditional burial and cremation. In recomposition, a body is covered in natural materials, like straw and wood chips, and breaks down over several weeks. It produces about a cubic yard of soil indistinguishable from other compost. Friends and family would be able to keep some or all of the remains, with the rest being scattered on conservation land around the Puget Sound region. The company conducted a pilot program with five donor bodies at Washington State University and met all safety requirements outlined by the Department of Ecology, Spade said. The bill would also legalize alkaline hydrolysis, sometimes referred to as flameless cremation. Water, chemicals, heat and pressure dispose of the body in two to three hours, and produce a similar result to traditional cremation. Oregon, Idaho and 17 other states currently allow the practice. Ultimately, the customer will decide which practice they prefer, said Lisa Devereau, president of the Spokane Valley-based Washington State Funeral Directors Association. The organization is excited by the potential environmental benefits of the practices, but is taking a neutral stance until it’s clear who will be able to operate the facilities and what the requirements will be, Devereau said in an interview. “I think anything done with the human body has to be done with dignity and honor and privacy, so if they can show those things then yes, I think it will be fine,” Devereau said. Chaplain John Waltner told the committee the practices have strong support from those living in his retirement community in Redmond, Washington. Washington had the highest rate of cremation in the country in 2017 at 77 percent, or about 42,000 bodies, according to the Cremation Association of North America. Remains from both processes would be regulated the same as traditional cremated ashes under the new bill. Scatter gardens would likely be a feature of memorial homes if the services became an option, Devereau said. The committee approved the bill for consideration by the full Senate. It might face some amendments before final passage, but sponsor Sen. Jamie Pedersen, D-Seattle, said he will continue working with the bill’s advocates to find an agreeable solution. A similar bill that only included alkaline hydrolysis was introduced but didn’t pass last year. Adding recomposition this time around was a “silver lining” after last year’s failure, Pedersen said.